Nestled on the Southern Pacific coast of Costa Rica exists an idyllic slice of paradise called the Costa Ballena. 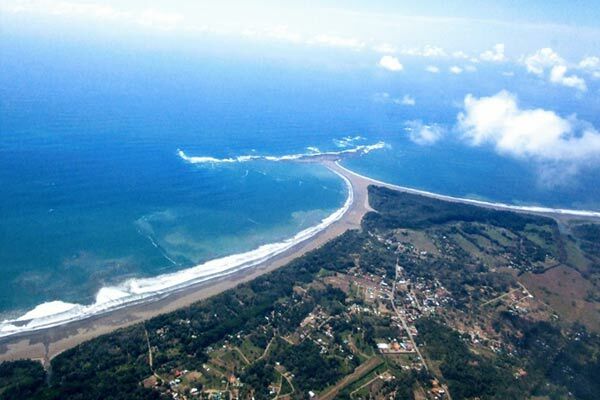 Consisting of a 22-mile stretch of coastline, this part of the country is made up of three major towns: Dominical to the north, Ojochal to the south, and Uvita in the middle. 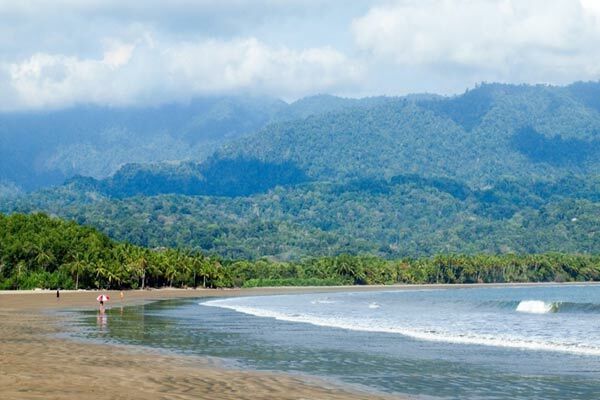 Uvita—considered the hub of Costa Ballena—is punctuated by a long sand bar that connects the mainland to a spectacular coral reef formation, known as “The Whale’s Tail” at the northern end of Marino Ballena National Park. When the tide is low, views from above look exactly like its name infers, a giant whale’s tail emerging from the sea as each swell crashes over it. “The Whale’s Tale” coral formation, Uvita, Cost Rica. In fact, there are so many humpback whales around Uvita, it is the chosen location for the Annual Whale and Dolphin Festival, and it’s one of the most popular places to see whales “breach” during their annual migration. If you talk to the local expats of Uvita, you find they are enamored with their adopted home for a number of reasons: the rugged landscape, quiet beaches, jungles and waterfalls, and ultimately because it has not given way to large development. Those seeking a tranquil, tropical life can still feel directly connected with nature here. 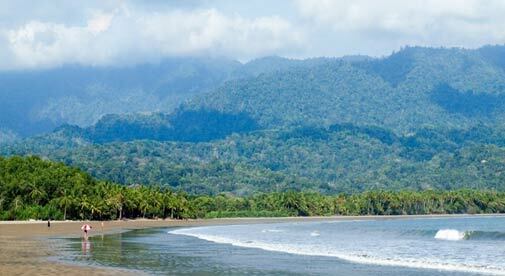 Where the jungle meets the Pacific…Costa Rica’s lush Southern Zone coastline. Can you still find affordable deals in Costa Rica? $117,000—a brand new one-bedroom, one-bathroom home walkable to the beach. It’s small home but set on a larger property with room to grow. $144,000—a 10-bedroom income generating property. Income potential is immediate with this property where you can live/manage onsite. $235,500—a two-bedroom, two-and-a-half-bathroom home with pool in the center of town. If you are willing to pay a little more, you exponentially improve location and amenities.